Looking for an exciting internship opportunity? Put your sales and marketing experience to good use by helping a small Dutch-Cambodian social enterprise to develop innovative strategies and campaigns to build awareness of the company and boost sales. Ideal for: Individuals with two-five years experience in a sales and/or marketing role and who are well-versed in the latest sales and marketing techniques as well as tried-and-true practices. An open and inquisitive attitude. We are a start-up, so you’ll likely end up doing work every now and then that has nothing to do with marketing or communication. We will work together to achieve your personal goals for this project, be these work-related experiences, new skills, discovering Siem Reap, the temples and Cambodia. We understand that your time in Cambodia is as much about your goals as it is about ours. Experience the satisfaction of contributing to an organization that positively affects the lives of its employees; and doing all that in a pleasant and fun atmosphere with a team that is really looking forward to your stay here! develop the rough lines for a follow-up campaign for the Netherlands and an outline for a campaign in UK and Germany. You will work five days a week, office hours, reporting to the Director and Founder. Our workshop is located in a small traditional wooden Khmer house, surrounded by palm trees and with two dogs called Max and Mickey. It is a shared workshop/office, meaning we are all in the same room and can enjoy easy access to each other. We are a social business, not an NGO and we see ourselves as picking up from where the NGO’s phase out: after schooling and training comes the need for a job. A proper job that brings with it all that we want from work: money as well as satisfaction and personal fulfilment. At the moment we are still in the start-up phase so we are a small company and there is no profit to speak of. However, we did secure an investment which means that there are funds available to further develop the business. Our production team consists of 5 Khmer women and is led by a contributing Khmer production manager. The founder/owner is the only foreigner working in the company, together with the volunteer. And together, they basically do everything that is not related to production. As it goes in start-ups, this may vary from challenging projects that involve strategic planning, to small tasks as diverse as dropping off the tax administration and posting on social media. 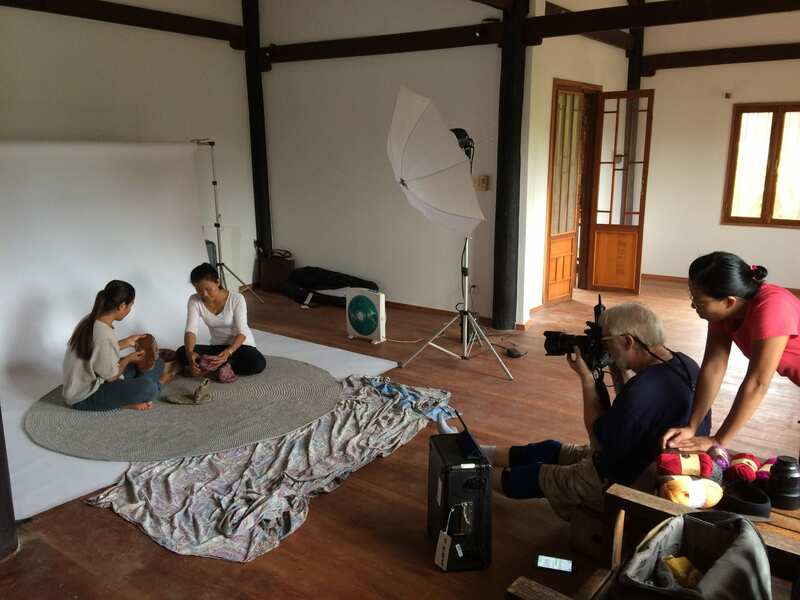 This professional volunteer project will place you with a Dutch–Cambodian social manufacturer of woollen indoor footwear. That’s right, we make woollen slippers in the tropics! We were established in 2015 out of the desire to set up a business that is both social and profitable, and that supports a proper work-life balance for all their staff. Because while work can have an amazingly positive contribution to your life, life simply isn’t all about work! 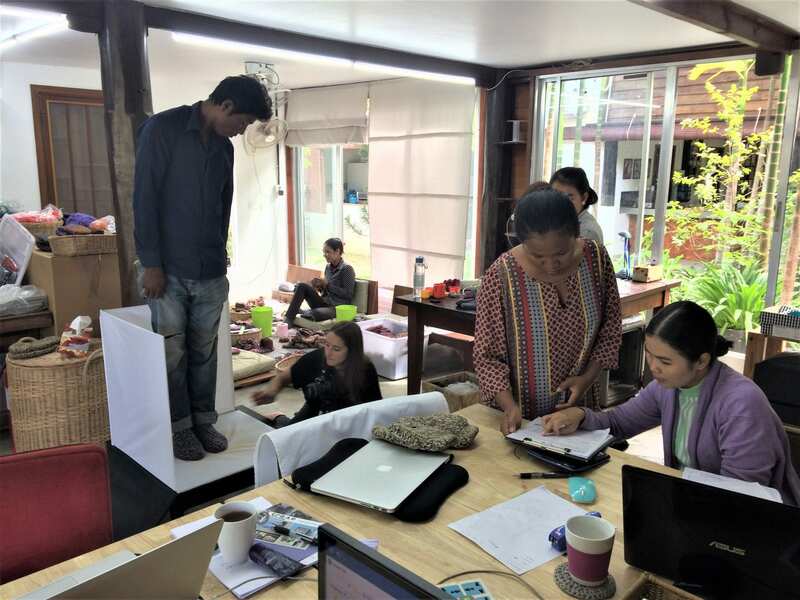 From design to product development and from sourcing to marketing: everything is being done from their Siem Reap based workshop. They currently sell in Holland, Belgium, UK and Germany. We wanted to prove that investing in people and the planet is not a nuisance but actually profitable: by taking care of our staff we get commitment and higher productivity in return. By striving for environmental and sustainable solutions a company actually becomes more innovative. We set out to create a company culture that is open, friendly and inspiring. We work with our staff on developing new skills and stimulate work in self-managing teams. But we also acknowledge that our staff have a life outside of work, and that the two sometimes affect each other. Until now, we have only employed women due to the nature of the work. 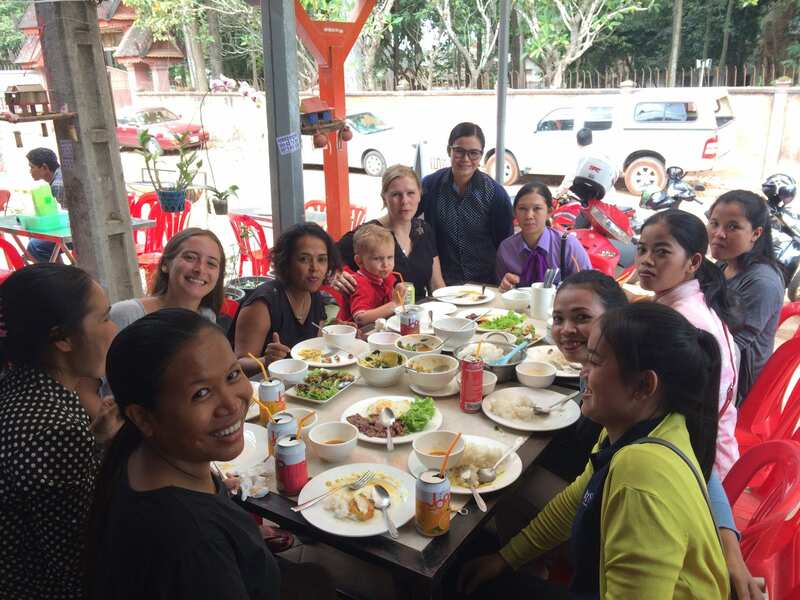 For women in Cambodia in particular, finding paid employment is not common and it is generally challenging for them to balance the expectations at home with the responsibilities of full time employment. Our open company culture ensures that we are aware of what is going on in the lives of our staff, which allows us to respond when a staff member has issues finding safe daycare for a child for example, or has problems finding transportation to and from work. The fact that they have paid employment has a very positive effect on their personal lives that goes far beyond the obvious monetary improvement. Bringing in this money means their role and position in the family change as well and that is where the structural change and development starts.